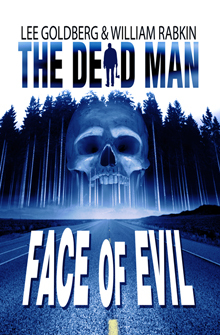 With Face of Evil (Dead Man #1), Lee Goldberg and William Rabkin have managed to use the e-book format to jump-start the horror pulp genre. At last, someone has figured out how to do it right. Just too bad it’s taken me this long to catch up to the series. The series is up to 21 episodes right now and should continue for the time being. Goldberg has an extensive background in TV writing and adaptation (he has written the Monk TV tie-in novels). Likewise, Rabkin has a TV background and has written the Psych tie-in novels. There’s even a Dead Man series blog to keep you posted on where it’s headed and a Kindle World program so fans can produce their own Dead Man novels. Attention “new pulp” aspirants: this is how the professionals do it. Ignore at your own risk. The first episode introduces the reader to Matthew Cahill. He’s a simple man working in the northwestern US at a saw mill. His wife having passed on some years ago, Matt spends his free time working around the cabin he built for his deceased wife. He likes to chop wood with the ax his grandfather used as it makes him feel connected to the world. Toward the opening we find out Matt has survived an avalanche while skiing. He was buried under snow for 3 months until a little girl building a snow man found him. Assumed to be dead, he was taken to the local morgue where the county corner would normally perform an autopsy. But the second the corner starts cutting into the body, Matt begins to bleed, something a corpse shouldn’t do. When signs of life are discovered in Matt, he’s rushed to a university hospital. The book has a lot of information on death due to hypothermia. These are short works and should qualify as “novelettes”. Face of Evil in only 78 pages and can be read in one sitting. Prior and after his accident, Matt has a vision of a sinister figure known as “Mr. Dark”. Mr. Dark can appear in many forms and enjoys spreading evil in the world. Matt is the only one who can see him and Mr. Dark’s victims. Anyone cursed by Mr. Dark first appears as a rotting corpse, but only to Matt. In this episode, it’s not made clear if Matt’s abilities are a result of the accident. The authors are clever about background insertion in their characters to keep the action moving and add a little humor. I’ve noted a similar technique from a certain Maine author, but anyone can do this with the right talent. Grim, but to the point. Count me as a fan of this series. I plan on checking out the rest of the episodes. Goldberg and Rabkin have been able to enlist plenty of other talented writers. Thank you for the great review! You have a lot more DEAD MAN to look forward to. 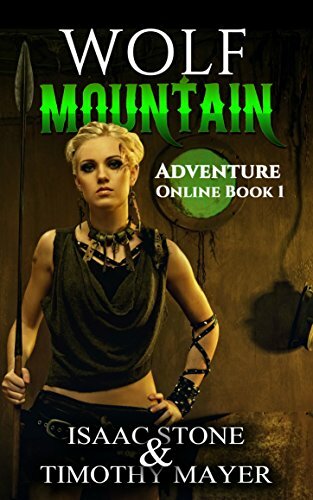 There are now 21 DEAD MAN adventures in digital, print and audio… as well as three “Kindle Worlds” fanfiction DEAD MAN novels (yes you, too, can write a DEAD MAN novel and sell it on Amazon). And in January, the DEAD MAN becomes a Kindle Serial with REBORN. And now you’ve managed to bring back the serial….Hey “New Pulp” kids, are you listening? And “Dead Man” fanfic as well! (Groan) I can’t tell my wife about this. She already has just about everything Lee Goldberg has written! Help.